A great way for your advertisement and company name to be seen by over 400,000 fans! Outfield billboards are a highly visible advertising vehicle, and a great way to expose your company to thousands of fans on a nightly basis. 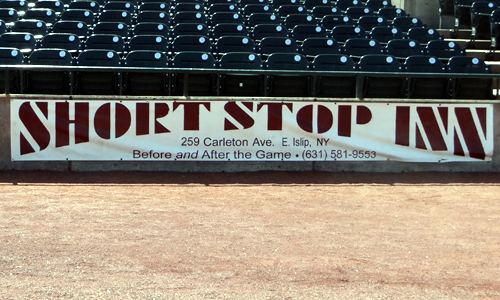 Outfield signage is available in two sizes, 8' X 32' and 16' X 16'. Get closer to the action! 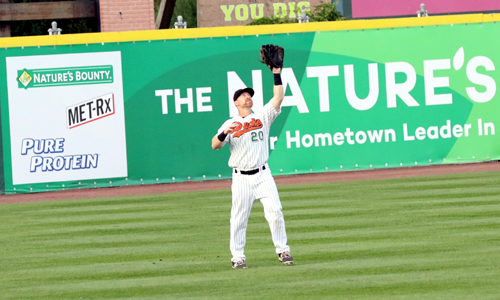 The premium outfield billboard is outfield signage located closer to ground level. The attention of the fans will be on the game action and your signage. Available in 8' X 32'. Premium exposure in centerfield! 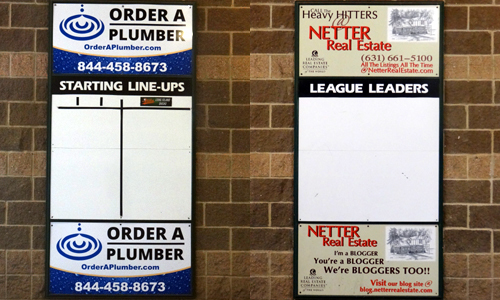 Different locations of the Batter's Eye provide an excellent means to display a company logo and/or message. 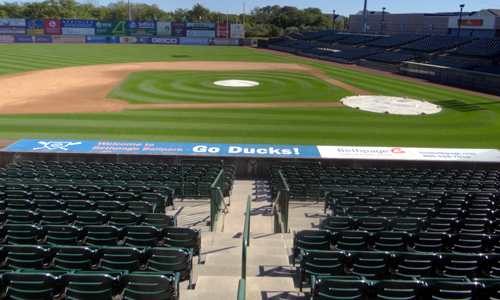 The centerfield location is a large center of attention to fans, and will prominently display your business to thousands of fans on a nightly basis. 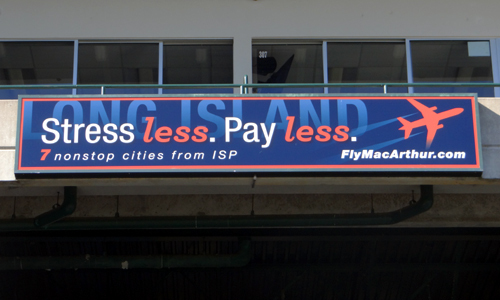 These backlit 3 1/2' X 4 1/2' signs will be highly visible on the busy concourse of Bethpage Ballpark. 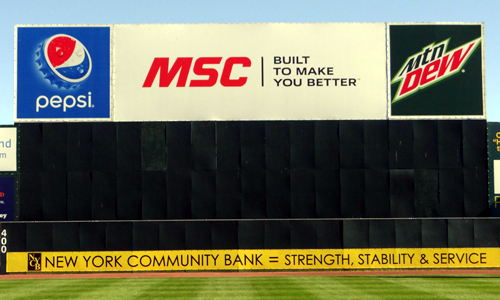 These 3' X 16' backlit signs are located on the highly visible balcony section of Bethpage Ballpark. A great way to display your company logo with a short message. Get the crowd directly involved with your advertisement! This interactive illuminated balcony signage provides thousands of fans with frequently referenced information about the game. 1.) Time of Game: Displays time to all fans in attendance, accompanied with a PA announcement for the start time of the contest. 2.) Temperature: displays official game time and current temperature. Excellent exposure close to the field. These color signs are located down the first and third-base foul lines, highly visible near the on-field action. 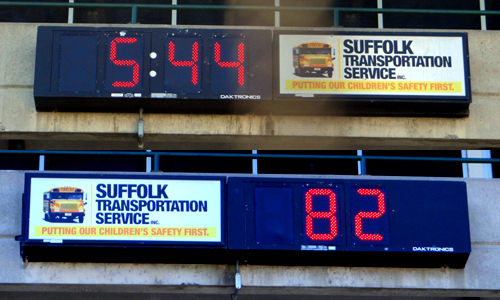 Located on the busy Bethpage Ballpark concourse area, these boards contain important statistical information about the Ducks and the Atlantic League. These boards continuously attract a large crowd of fans seeking information, and colorfully display your company's advertisement. Ad space is two 2' X 4' boards on the top and bottom of information space. These highly visible 5' by 70' color signs grace the tops of both the home and visiting dugout, a constant source of attention for fans at Bethpage Ballpark. 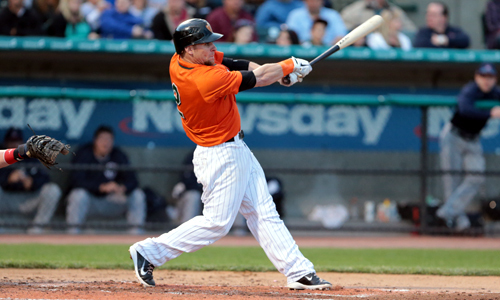 Prime advertising space inside both the home and visiting dugouts of Bethpage Ballpark. These signs often show up on television (during televised games) and local newspaper photos. 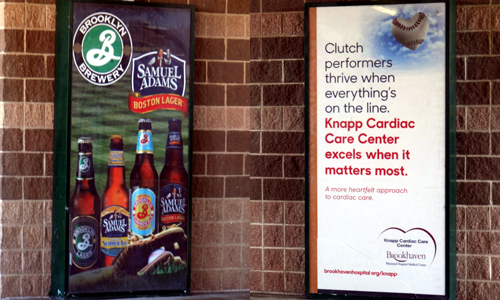 The perfect way for every fan entering Bethpage Ballpark to see your ad! 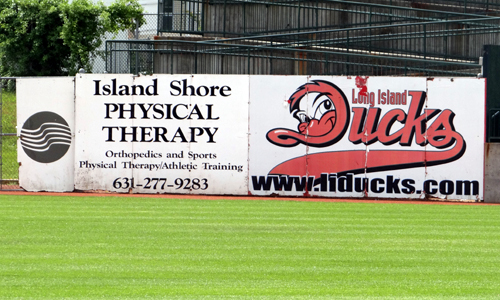 This pair of 8' x 4' backlit signs are located at the East and West entrance gates of Bethpgae Ballpark visible to everyone as soon as they enter the facility. 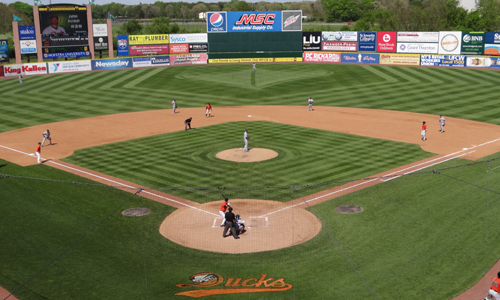 The Ducks also offer a variety of other outfield signs to fit your advertising needs. 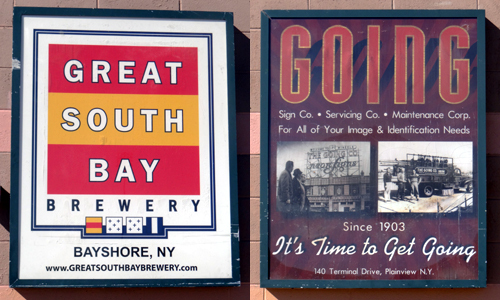 Located in the highly visible outfield of Bethpage Ballpark, these signs come in three different sizes in four different locations.